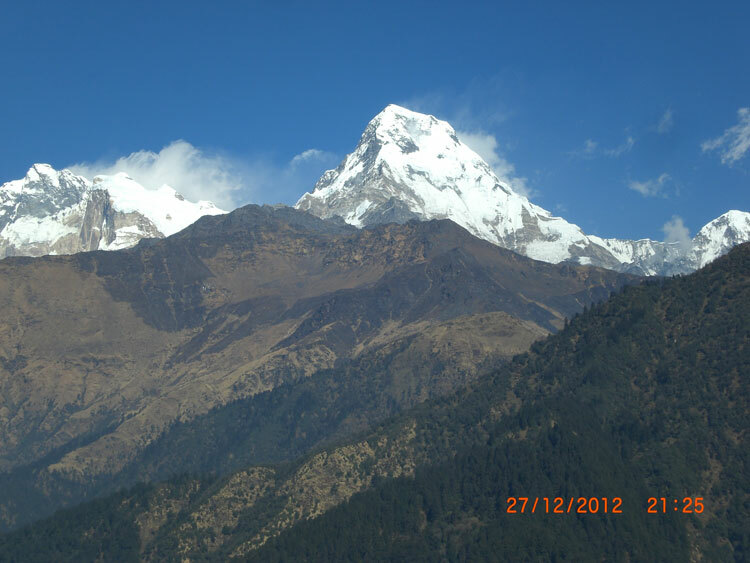 Myself, my wife and our daughter undertook a trekking to the Annapurna Base Camp (ABC) in Nepal during 7-16 October, 2013. We have been preparing for this trip for quite sometime, having visited the Ghorepani Pun Hill and Mohare for the last two years as a warm up. 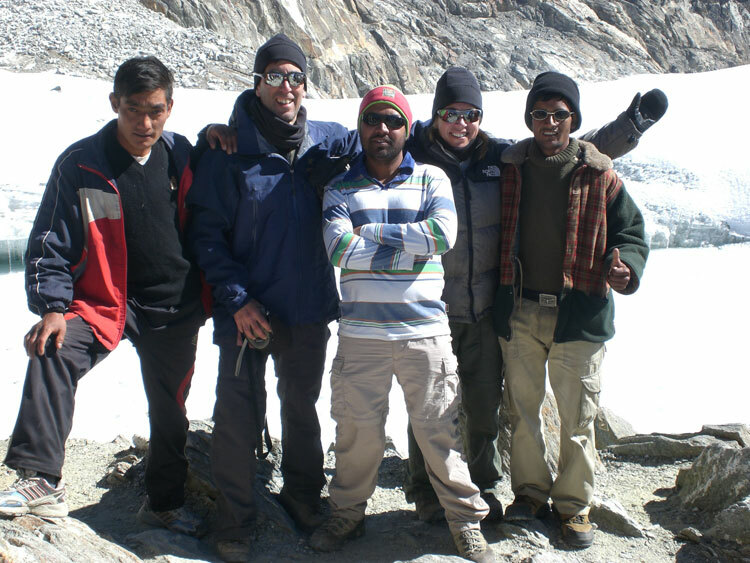 The trip to the ABC has been the most memorable and fascinating treks that we have undertaken so far. It was not an easy decision to go there with our daughter, who is just about 9.5 years old. 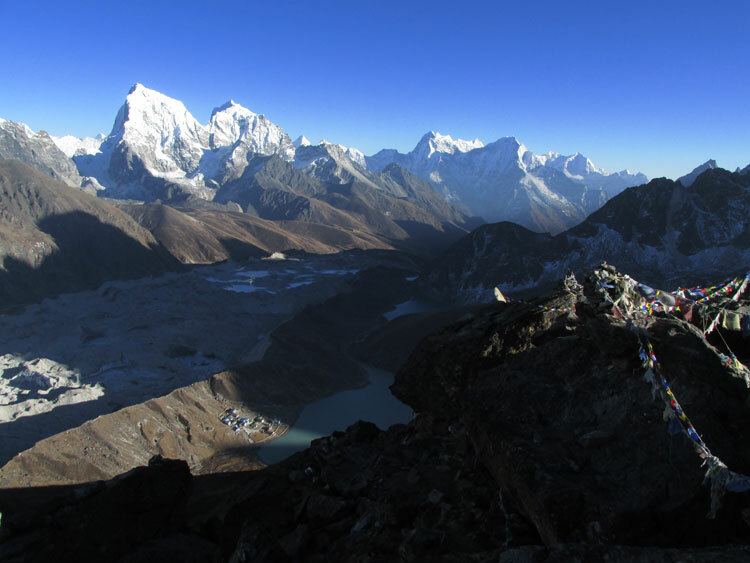 The trek can be classified as moderate in terms of difficulty level but is extremely rewarding. We followed the route passing through Nayapul, Jhinu, Chomrong, Bamboo, Deurali, MBC and ABC and followed the same route back. It took us 6 days to go up and 4 days to return. We could have reduced the time by one day during the ascent but decided to spend a night in MBC in order to avoid any altitude related issues. 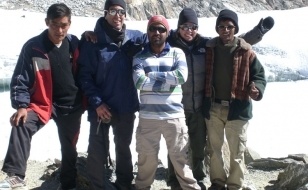 The Annapurna Base Camp provides an awesome display of sheer raw power of Nature. There, one is at an alpine territory, surrounded by majestic high peaks, while sitting almost at the edge of glaciers dotted by deadly crevices. 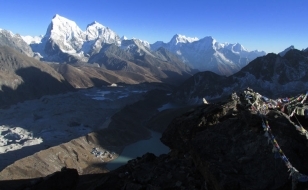 The silence of the base camp is disturbed sometimes by the crackling sound coming from the movement of the glaciers and once in a while from the sound of a distant avalanche rolling down the faces of the Annapurnas. The whole scenario invokes a feeling of awe and trepidation, which is reinforced by the memorials of the missing climbers dotting the place. There is no soothing feeling associated with the ABC. 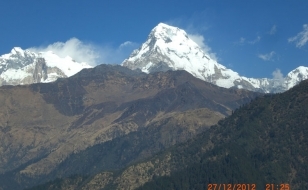 On the other hand, a part of the trek, especially between Jhinu Danda and Chomrong, provides a beautiful vista of lush green vegetation, milky white snow peaks and weather permitting, crystal clear blue skies. We were very lucky to have witnessed this beautiful combination with only a handful of small white clouds floating around, as a gentle reminder of how very fortunate we are. 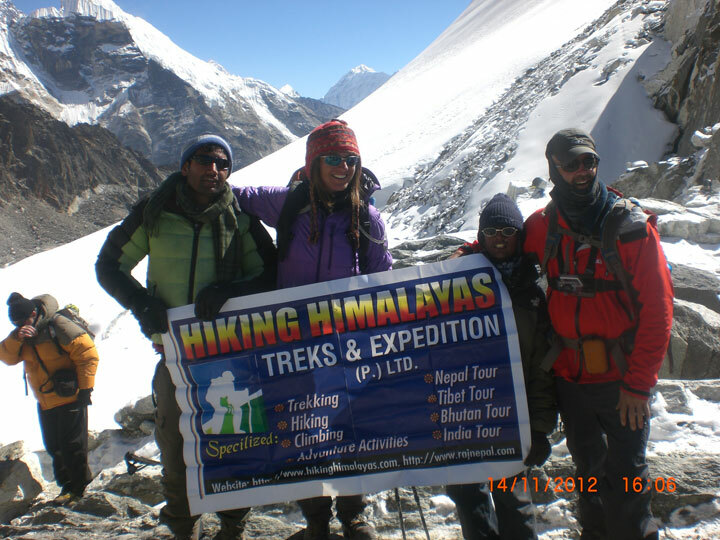 We used the services of the the Hiking Himalayas Treks and Expidition (http://www.hikinghimalayas.com/), whose owner Raj Nepal was our guide. 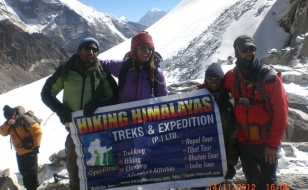 In our previous two treks also we used his services and we are again totally satisfied with Raj (info@hikinghimalayas.com). I would very much recommend this trek to anyone with moderate level of fitness and I would be happy to provide further information about it.